I had to admit, the whole thing sounded a bit like the beginning of a fairy tale. I mean, aren't fairy tales usually about the main character finally meeting someone who will change his or her life for good? Well, I knew my life would be changed, but it wasn’t a knight in shining armor, a fairy godmother, or a random talking raccoon waiting for me as I logged into my computer that early morning in July 2014. No, not quite. It was the name of my freshman roommate. I knew nothing of my future roommate but, in a way, I felt like I had been waiting my whole life – all 18 years of it – to meet this person. I knew I planned to go to college and college came with a roommate. At that point, the word “roommate” was simultaneously exciting and ominous. It is scary to move in with someone other than your parents and furry brother (my dog), but I also knew moving out of my home and into a dorm with a roommate would be another step toward independence. However, as my freshman move-in day approached, I grew more and more apprehensive. I simply didn’t know what to expect (and we’ve all heard some version of a roommate horror story). But even if I was nervous about living with someone new, I didn’t have to worry. Residence Life at Concordia takes good care of us, right from the beginning. 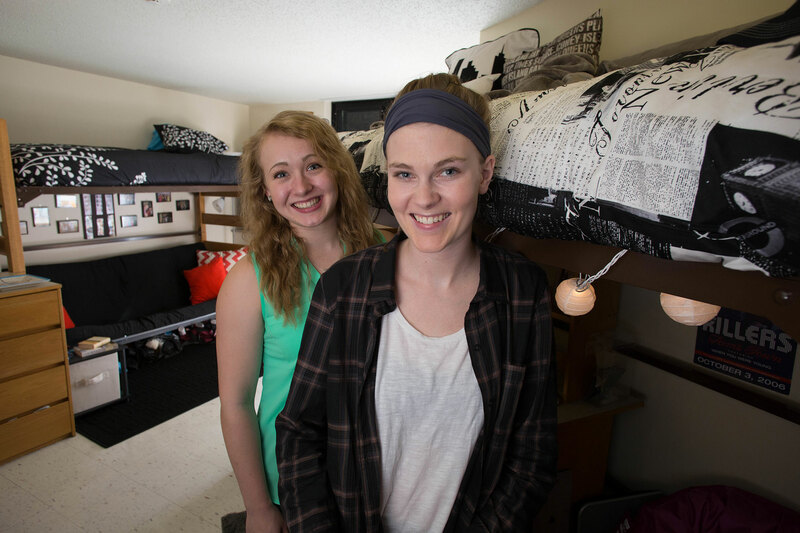 Concordia does freshman rooming assignments a couple different ways. I chose to be assigned a roommate my freshman year, but that’s not the only option we Cobbers have. You are given the option to choose your own roommate. I know a couple of high school classmates who roomed together their first year. Others meet a new friend at Summer Orientation and decide to give living together a shot. Residence Life is more than happy to pair you up with your preferred person. But if you don’t have anyone in mind, fear not. Being assigned is a bit nerve-wracking, but it can also be exciting. Concordia does a great job of trying to put compatible people together. Prior to roommate assignments, Residence Life had a questionnaire for us to fill out. It asked questions about interests, general cleanliness, when you go to sleep and wake up, etc., all in an effort to put people who would work well together as roommates. Then, after the Facebook creeping (we all do it), get-to-know-you text messages, and the planning of who is bringing what, comes the hard, crazy, fun, occasionally frustrating part. I remember well the nerves I felt before I knew my freshman roommate. I mean, she’s great. I got really lucky when they paired us together (you see, it can work out; we’re still friends! ), but there were overwhelming unknowns and a dozen “what if’s” that ran through my head as I waited to meet her for the first time. What if I don't like her? Well, OK, but what if she doesn't like me? What if she sits up and howls at the moon in the middle of the night like that roommate I heard about in high school? I’ll bet you $10 (OK, not really, I’m a poor college kid, too) if you have any “what if’s” like I did, that 99% of them won’t even come true. My roommate didn’t howl at the moon and we really did get along. However, living together with another person does take work. For most roommates, it won’t be smooth sailing all year long. You are different people with different personalities and temperaments. So, naturally, communication is key to a successful roommate relationship. 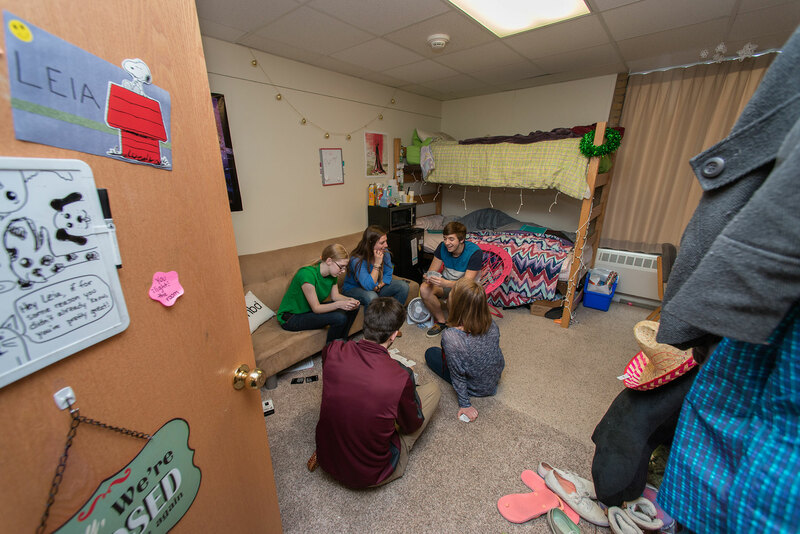 Your Resident Assistant (RA) will hand out a roommate success form at the beginning of the academic year that will prompt discussion on various living arrangements (when visitors can come, study habits, what can be shared, etc.). Being honest and open when deciding on ground rules can help alleviate some potential tension down the line. Even with ground rules laid out and whether you’ve chosen your roommate or were randomly assigned, conflict may arise. And that’s OK. It’s normal. Totally normal. You won’t be able to read each other’s minds (well, unless you have some serious skills), so if something is really bothering you, it’s often a good idea to get it off your chest and talk about it. I predict you’ll both feel better afterward. Now, obviously, it doesn’t always work out. If you’ve tried everything you can think of and things still aren’t working out, you don’t have to deal with it alone. There are people around who will help. Consider your RA like a fairy godmother or father (because, seriously, they are magically wonderful). They might not be able to turn your Halloween pumpkin into a carriage, but they can certainly help with roommate trouble, should you desire. It’s part of their job to make sure you are having the best and safest on-campus living experience possible and if that’s not happening, they (or someone else on your Residence Life team) can try to help you work through whatever is going on. 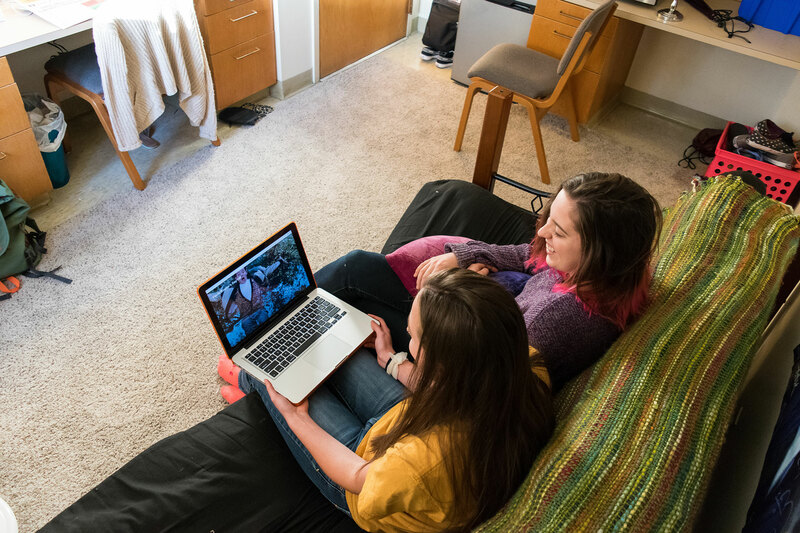 If things still aren’t working out after you’ve chatted with your RA, you can always set up a meeting with your hall director. In my experience, everyone on the Residence Life team has been friendly and willing to help. You’ll be surrounded by good people. OK, maybe wedding vows aren't the best ending for a roommate blog. But, you get the point.